It has been over a year since I last posted. I’m still trying to figure out what to do with the blog going into the future. In the meantime, I visited Texas for the first time and I thoroughly enjoyed the grackles in the city. Great tailed grackles (Quiscaulus mexicanus) are a very common bird in urban San Antonio. I saw hundreds roosting on powerlines along the various highways around the city. Now coming from Hawai’i, we just don’t have birds of this size commonly seen in town. This successful bird highlights the many challenges facing future of human/animal interactions. For many residence of the town, grackles are a nuisance. Their droppings make a mess of vehicles and property. Grackles have been called loud and annoying. There is also a question of their native status. They seemed to have greatly expanded their range inland in the beginning of the 20th century. Davis (1940) listed great tailed grackles as vagrants to Brazos County. By 1951 Petrides & Davis listed them as resident. Their range seems to still be expanding as human continue to develop urban areas. Another year, and the questions still remain the same; how do we share this planet that we live on? Someday, I hope we have to worry about the hordes of ‘i’iwi and ‘akiapolo’au raining droppings on our cars. Those are the problems I’d much rather be solving. Happy New Year’s to all! If you are of a particular age cohort, you will remember the sensation that was M. Night Shyamalan’s The Sixth Sense. Lauded, then cliched, for its plot twist, the movie was also known for Haley Joel Osment’s famous utterance: “I see dead people.” I bring this up here at Studia Mirabilium not because I’m doing a movie review but because it is a great cultural shorthand for how I describe the scientific reconstruction that my mind’s eye does. For while I don’t see dead people… I do see dead birds. Namely the extinct ones. One nice thing for me when I travel is seeing how local fauna have adapted to the human condition. 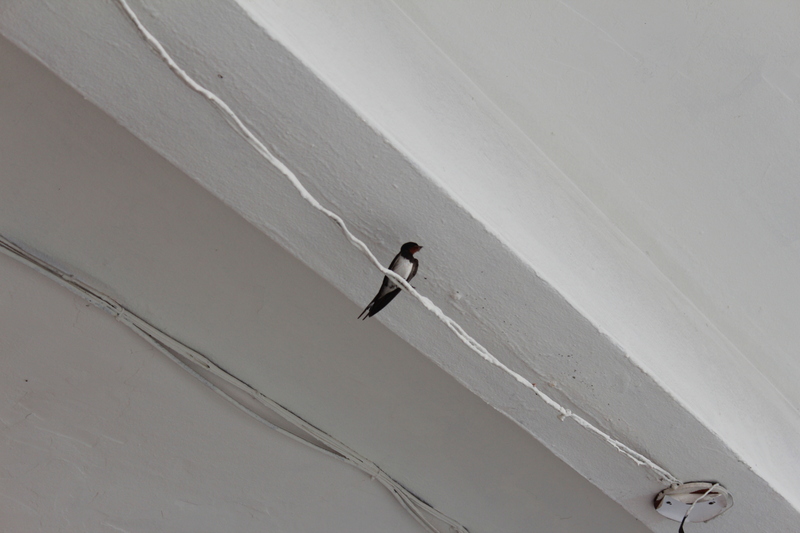 While this is a common sight in many parts of the world, Hirundinidae (Swallows, Martins) aren’t found in Hawai’i. Many species have a long benign relationship with people due to their superb aerial hawking of unwanted insects. I’m not an expect but this might be a common Barn Swallow (Hirundo rustica). The very name highlights its relationship with people and their structures. But it’s one thing to nest in a rural, undeveloped barn. 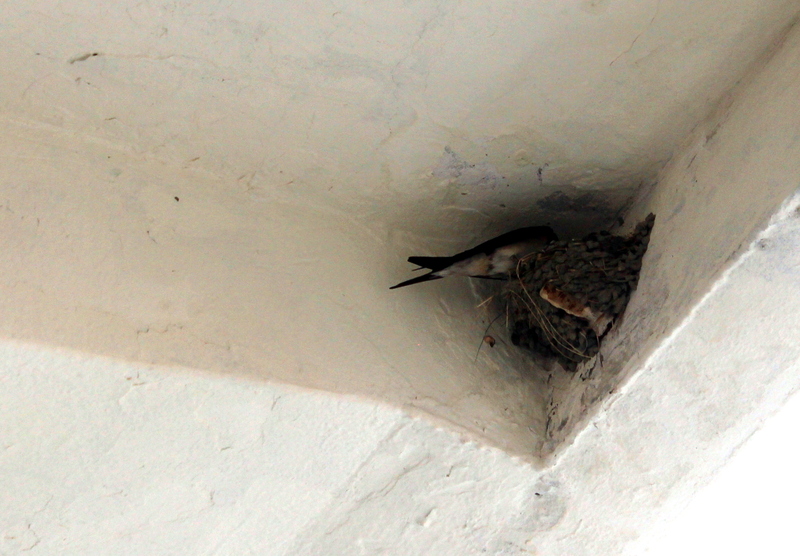 This pair decided to nest in the decidedly unrural Jeonju Bus Terminal! Buses honking, people jostling, luggage thrown about, yet there were enough food and resources that these birds thought this was the perfect place to raise a family. Sharing the planet at its finest! 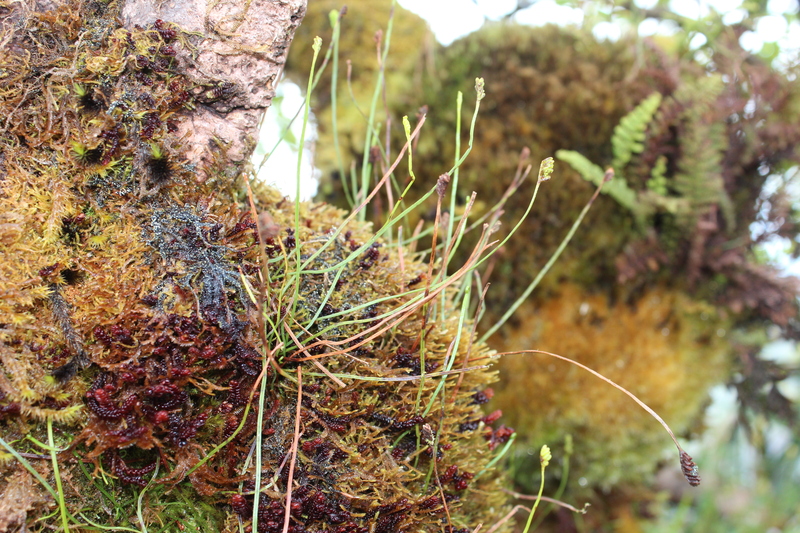 This dainty little endemic fern is ‘oali’i makali’i (Schizaea robusta). 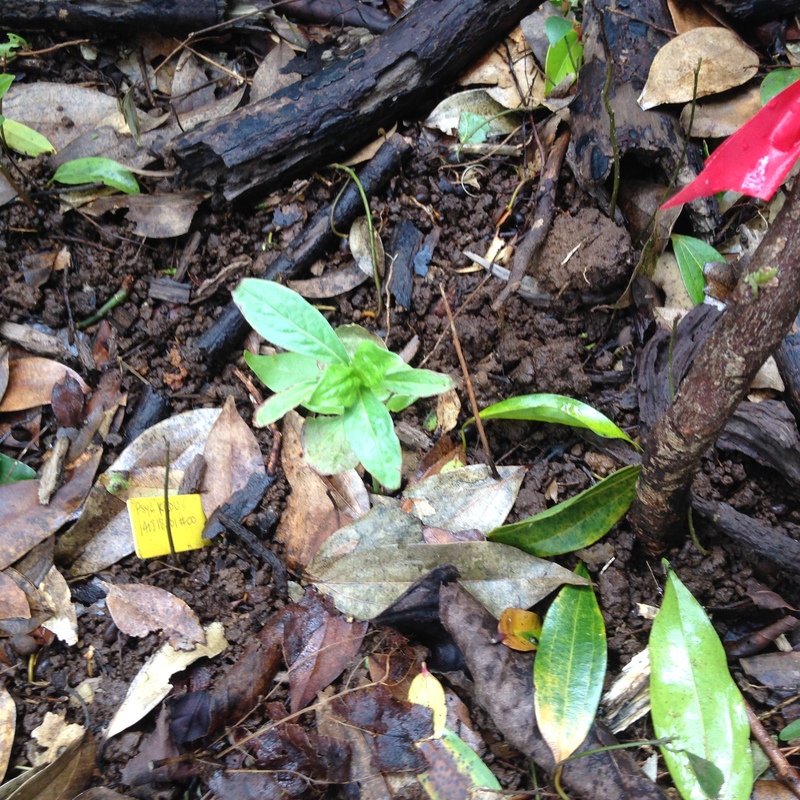 I came across it near the summit of Konahuanui. Interestingly, the frond is mostly made up of just the stipe; the blades are only found the very distal portion. This rather unique look gives it another colloquial name: the toothbrush fern. Keep an eye for it on wet summit and boggy areas. *Identification: Form– Treelets 1-4 m tall Leaves– linear to oblanceolate, blades 15-36 cm long, 0.8-3.1 cm wide. Flower– calyx lobes triangular, 3-17 mm long, 1-3 mm wide; corolla various shades of pink, subbilabiate, 43-73 mm long. My notes: Once again my O’ahu love is showing. 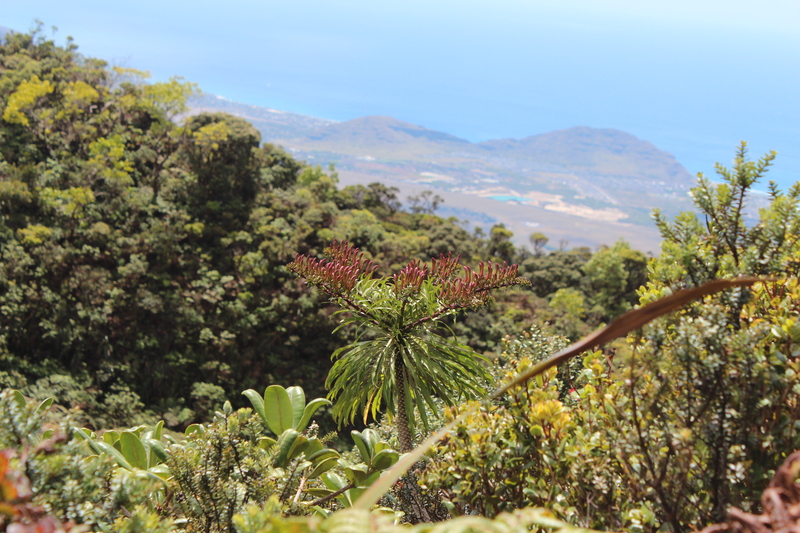 The first plants discovered in this genus were from the summits behind Honolulu by George T. Lay sometime between 1826-1827. It is neat for me to think the same areas where I see them now are the same areas where they were first scientifically described all those years ago. Unlike other capsular lobeliads, the fruits don’t dehisce by loculicidal slits, but by irregular pores throughout the fruit walls. The dry fruit have been colorfully called “pepper shakers” in some circles (i.e. 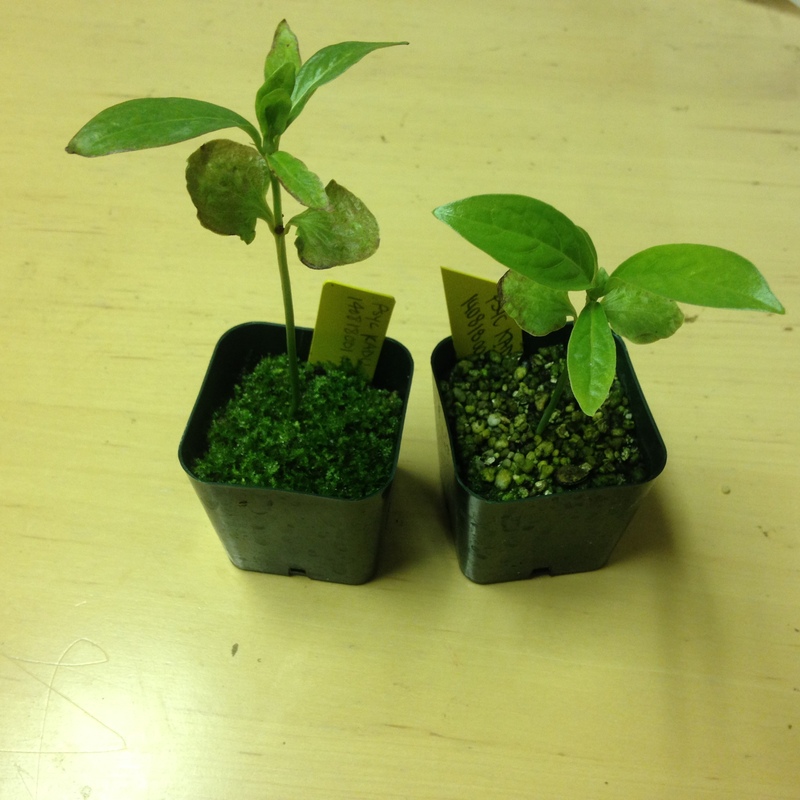 my nerdy plant friends). 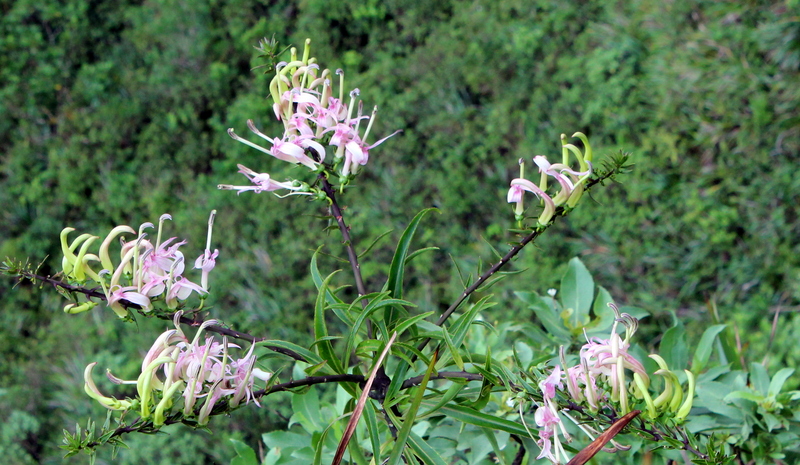 T. macrostachys typically flowers from September through November. It is always a spectacular side bonus to any summit hike to come across one in full infloresence! 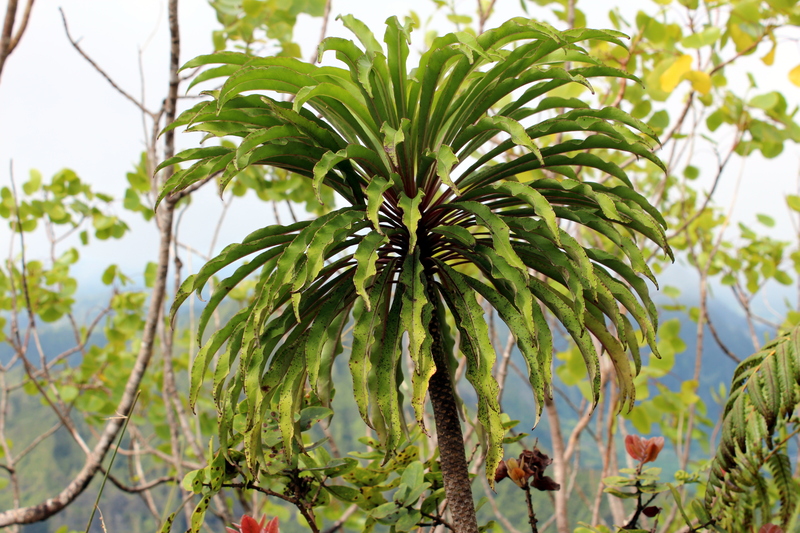 Refs: Lammers, Thomas G. “Revision of the endemic Hawaiian genus Trematolobelia (Campanulaceae: Lobelioideae).” Brittonia 61.2 (2009): 126-143.